“White” fillings are probably the most common cosmetic dental treatment and we are often asked for our advice. 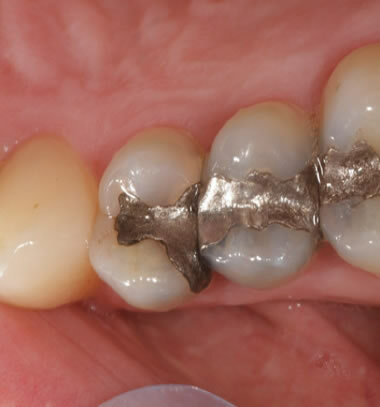 Traditional metal fillings are not as popular nowadays although they are the only option NHS dentistry provides for filling back teeth. Some people have health concerns about dental amalgam (which are not generally accepted by the majority of the dental profession), while others just don't like how it looks. They can last for years but weaknesses and small cracks can develop in teeth over time. Another issue is that dental amalgam can discolour the tooth so that no whitening or change of filling will ever restore its colour. For all these reasons we are placing fewer metal fillings than we have done in the past. Small to medium sized metal fillings can be simply and inexpensively replaced with a like-for- like tooth coloured material in a single visit. Larger fillings are sometimes replaced with an inlay or onlay which is a laboratory made restoration which is then bonded into the cavity to restore the tooth’s appearance and function. While these can be stronger they are more expensive and take two visits to complete. 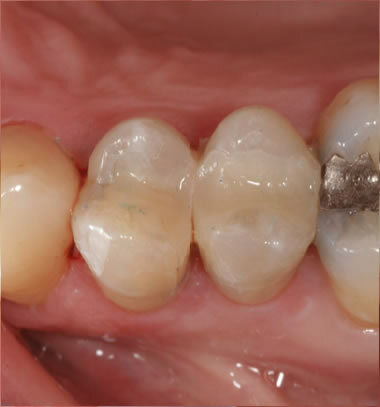 Many parents don't want amalgam used in their children's teeth. Although NHS treatment is free for children, white fillings on back teeth are not available on the NHS. Parents can opt to pay privately for their child's treatment to avoid placing metal fillings.